As I reported last month, Black Ink Crew‘s Sky’s meet up with her eldest son Genesis would end in blows. The lies of Sky first unraveled when her son Genesis and his father Reese sat down for an interview and exposed Sky’s fake storyline of a selfless mother who gave up her kids for adoption to a rich family. 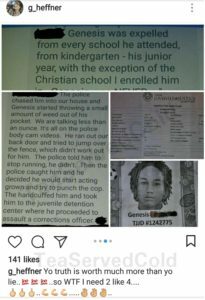 Genesis posted receipts that his foster mother was anything but an “angel”, as Sky called her. 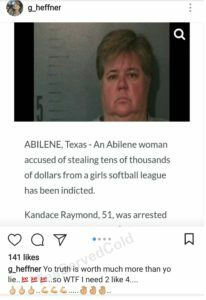 Genesis posted screenshots from an article revealing his foster mother Kandace Raymond was arrested for stealing $45,000 from a girls softball league in March 2015. 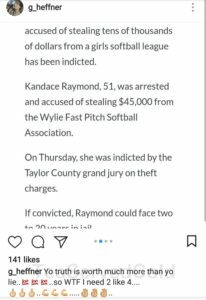 Kandace, who was 51 at the time, was arrested after an investigation of the financial records of the Wylie Fast Pitch Softball Association lead back to her, says reports. Kandace plead guilty and was sentenced to 10 years probation. She reportedly offered to pay back the money. 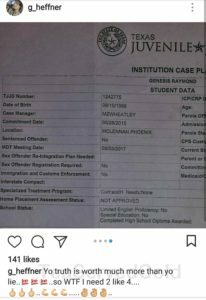 Genesis posted the article as well as screenshots of messages about Genesis being expelled from nearly every school he was enrolled in, showing his life with the Raymond family was far from the privileged tale Sky painted. He also posted his juvenile department records. 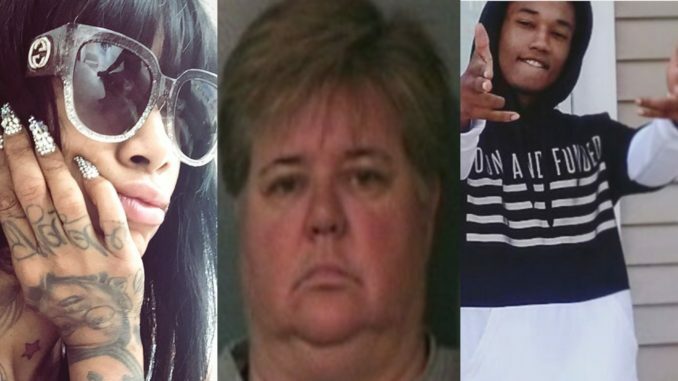 Though Sky praised the Raymond family for taking in her 2 kids, Genesis stated in the interview that he’d suffered abuse from his foster father, presumably Kandace’s husband, and when he fought back, he was arrested and continuously placed into juvenile detention centers. I love love this comment ! It is the truth!! Love u Sky and Genesis!! Thanks for taking care and showering our children with love that they deserve Rastabongo! !